Next: ARE TRAMPOLINE RAVES A BAD IDEA? 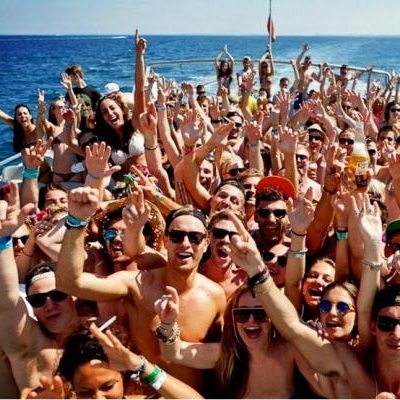 A boating disaster has claimed the lives of at least forty ravers, with dozens more still unaccounted for. “It was the inaugural voyage of Montreal’s very first rave boat, The Mermaid,” says Bonny Smythe, who survived the incident. Bonny still remembers the moment the water started rushing in to the boat. “It started a stampede,” says Bonny. "I know a lot of ravers drowned when the Mermaid went down, but some of them were also crushed to death by people desperate to get off the boat. The worst thing is, Hunter was laughing as everyone struggled to get off. He knew what he was doing. He wanted us to die out there. I hope he burns in hell."